Sorry WOYWWers! Didn’t realise the link was stored from another Mr. Linky. Click the banner to go to the most recent post, till Julia sorts it. I was tidying up in my office this morning and I came across a few Gelli prints that didn’t make it into my Gelli book. They were either mis-printed so the prints overlapped, or the ones on the back weren’t lined up carefully, or they had too much white at the edges. I must have made a conscious decision not to use them but had the sense not to just toss them in the bin – very unlike me! I also spied the book I love, One Piece of Card, and had a quick flip thru. You may recall I grabbed that from Alibris, the used book seller, online for a few £s. It continues to inspire me. 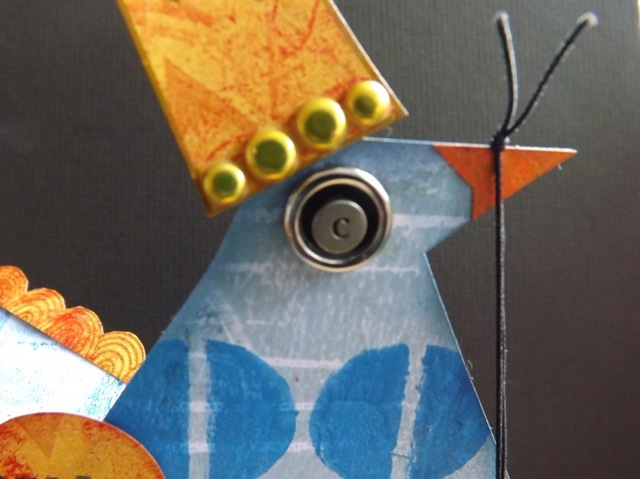 I found a bird I had not yet made and it fit the spare Gelli prints perfectly. I was looking at the prints, and looking at the bird, and one of my fave books, The Wind-up Bird Chronicles, popped in to my head. That was all I needed to spur me on to make my GelliBird. He makes me smile, and will sit on my window sill, to remind me there is more to my creative life than stitching, much as I am enjoying it. 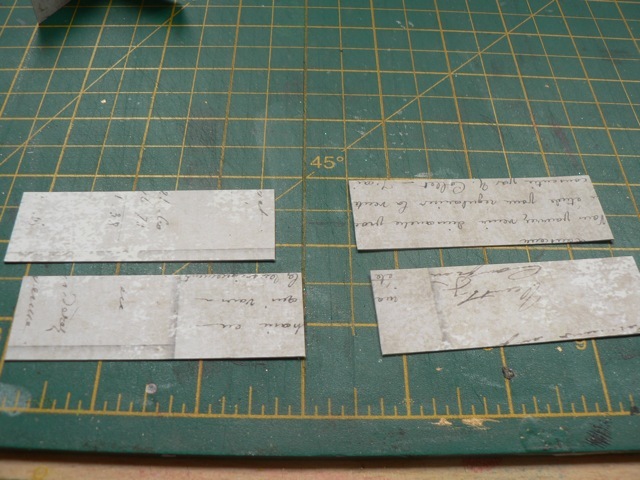 I dragged out some very old supplies, like the metal letter tiles that I swear I have not even LOOKED at for 5 years. It’s a bit of a visual … is pun the right word? … that the eye is a C, as in SEE. I also used a little image from The Graphics Fairy. I actually cut a chunk of a Gelli print and ran it thru my printer. stuck to a plain piece of paper, to print the image right on it. I did hit it with the heat gun just to se the ink, but I am not sure that was even required, as it didn’t seem to smear at all. 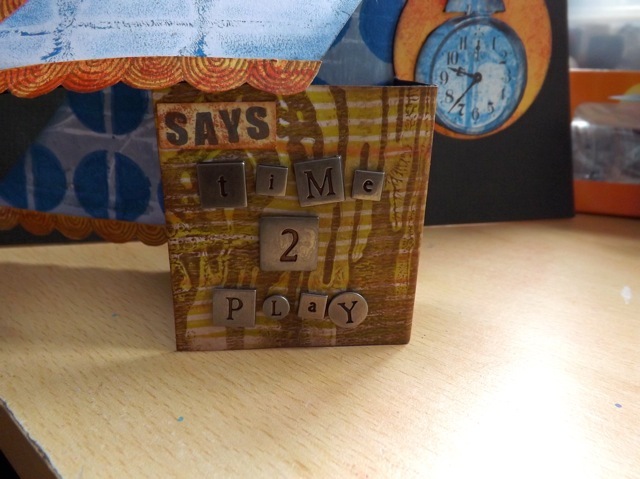 The Time 2 Play text used quite a few of the tiles – maybe one day I will use them all up – and the choices where not necesarily the ones I would have made had I a full set, so I am not mad keen on it, but needs must, as they say. 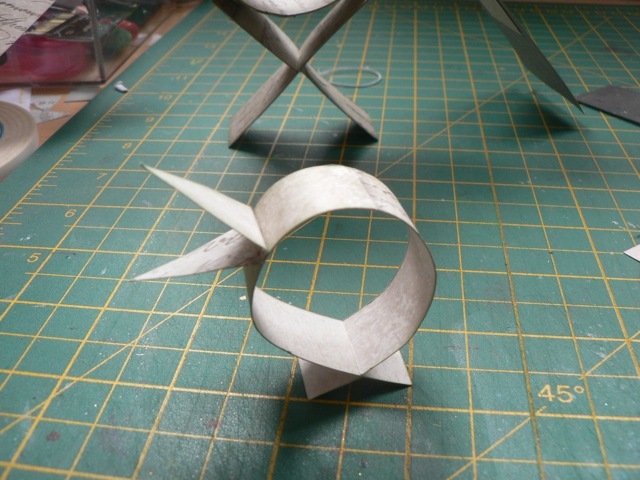 A little hidden something is a trio of 2p pieces used as counterbalances, to the right side of the base to make sure the bird edge you can just see here at the left stays raised off the desk. and behind the clock circle. 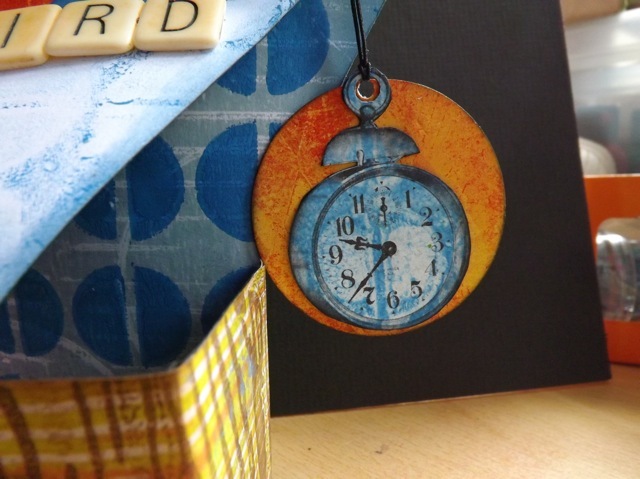 He makes me smile and I enjoyed playing with paper and stamps and ink as much as I have been enjoying my sewing. My play mat is just nearly done, just the binding to hand-stitch, and should finish up quick now the clocks have changed and there is longer daylight. My eyes are NOT what they used to be when it comes to focusing on tiny stitches. Remember I said I found seven more squares? Nope. Four were the final row and I forgot that. So with only 3 extras that takes it back to a 36×36 play mat size. Oh well. To be honest, I will possibly have 4 or more quilts done in the next few weeks so I may see if Jo will accept them hand delivered to the WOYWW crop rather than mail them. That way I can put off making the bags for a little longer…. LOL! Now, I have more tidying to do, more stitching, and a massive roast to cook for Easter dinner. Where does the time go? Categories: art, Gelli plate monoprints | Tags: art techniques, birds, Gelli plate | Permalink. As promised here we go – this is going to be a long one! 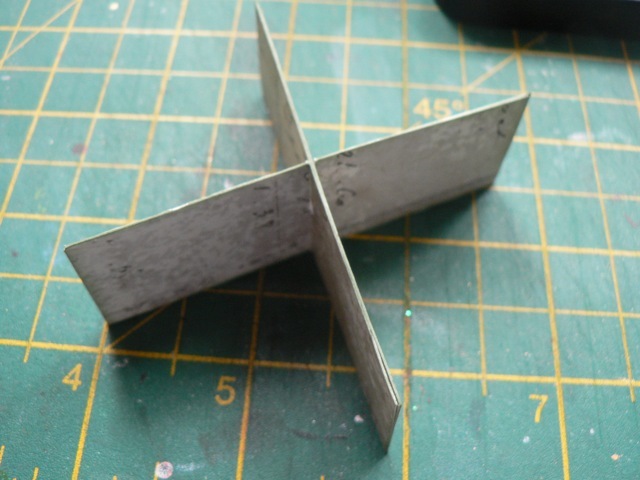 You will need some other bits as well, but scraps or what is left from your original 12 x 12 sheet will do. 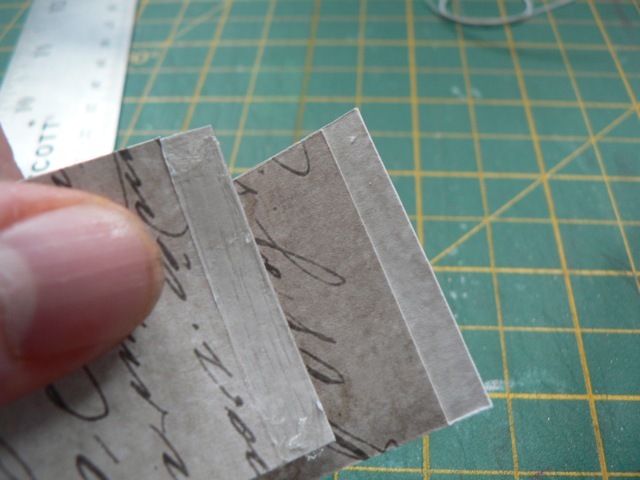 Take the other piece of 1 x 12 inch cardstock and cut it into four 3 inch pieces. 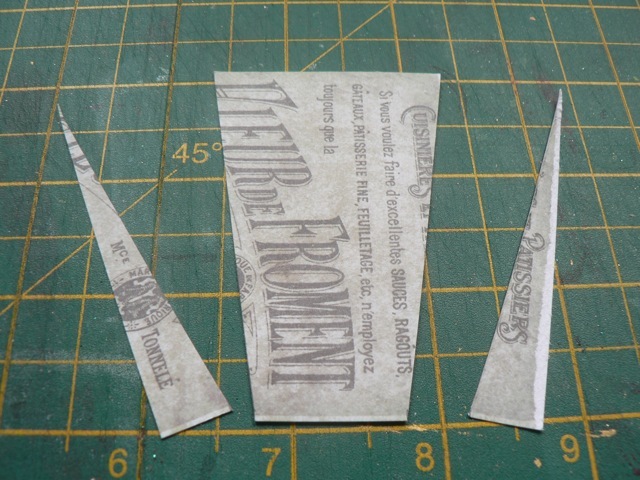 Take the 2 x 12 inch piece of cardstock and cut two 2 x 5 1/2 inch pieces. Stick them back to back, bit offset them by about 1/4 inch. 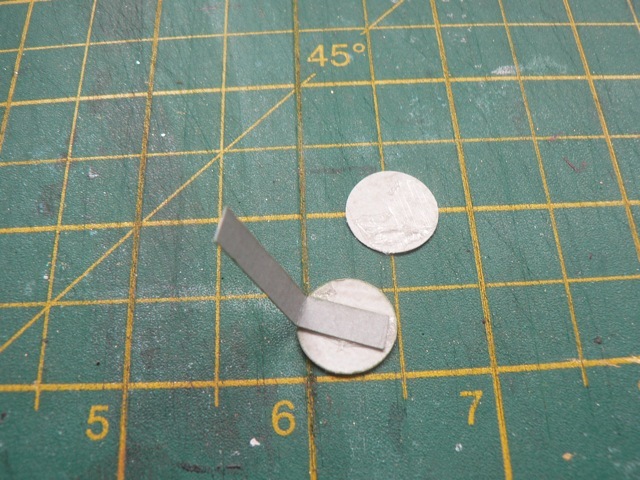 This way, when you stick the into a tube, they will not have 4 x the thickness at the ends. Originally I had made this piece only 1 1/2 inches wide but I found that was too small. The inner circle needs to be 1 inch (the width of the body) + 1/2 inch + 1/2 inch (for the wing strips) You will see how I accommodated my error later. 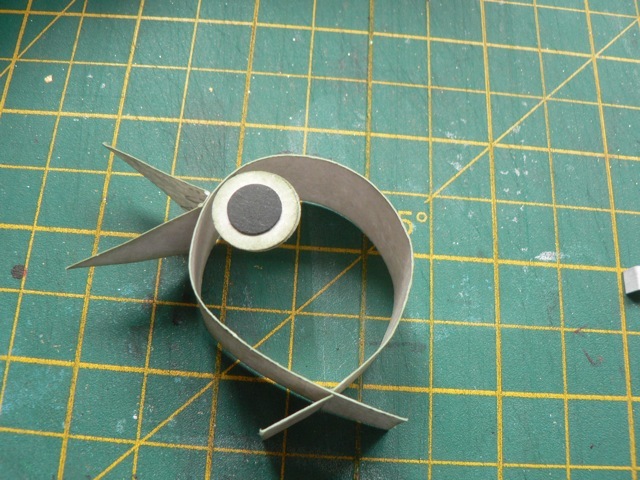 At this point to can assemble the basic bird body – Stick the 2 inch tube into the body, sticking it at the bottom edge. It will NOT fill the space. Stick the bottom of the body to the stand, just at the edges of the tip of the X. 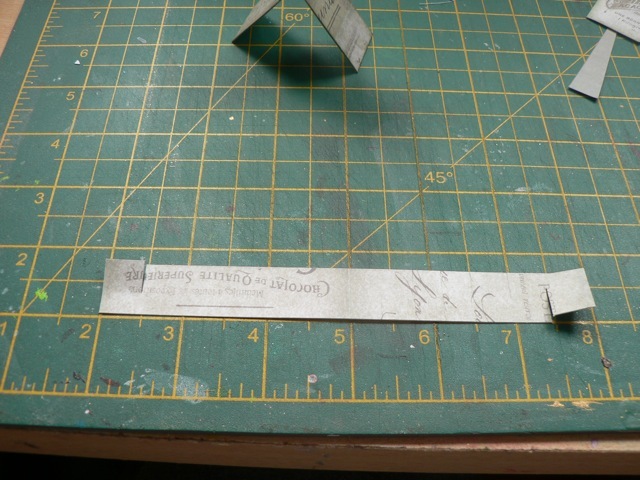 Take a 1 x 2 inch scrap and and score a 1/8th inch fold in the middle then cut the beak. Stick that on to the head. The eyes are the same as the fish from a few posts back. Just a thin strip of card, and a few circles. I did an eye only on one side for this one as you really only SEE one side. Stick the tail inside the head, behind the beak. 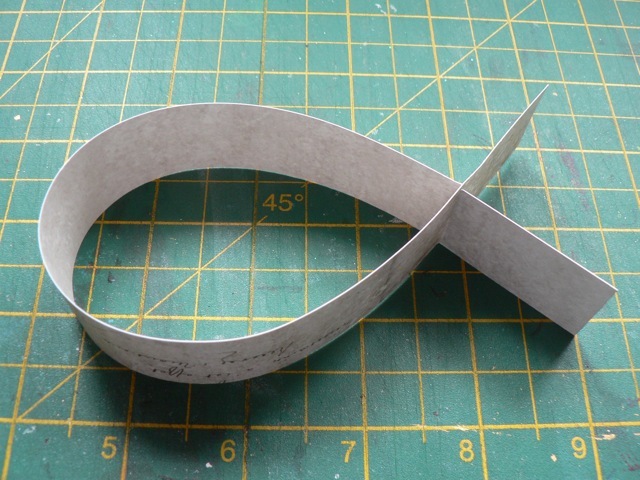 For the wings, take the 1/2 x 12 inch strips and score at 8 inches. 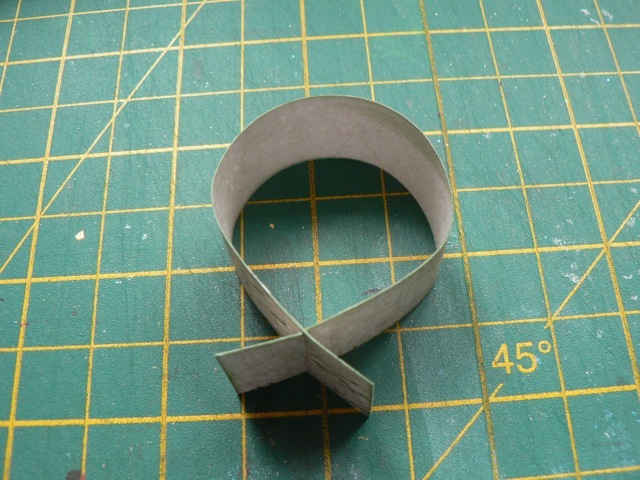 This is hard to explain, but just slide the ends along the strip, till you like the shape. The top will be straight, the bottom a curve. They can be quite rounded or quite gentle a curve, as you prefer. Stick the end in place and trim but leave a 1/2 inch or so for sticking the wings on to the center tube. Maybe you can see, with my thinner center tube, I had to cut a small slit in the wings so they could be stuck without being wonky! I have SO MANY ideas for embellishing this little guy. If I am brutally honest, I don’t like him as much as the ones from the other book…. but I think he has potential. I won’t be able to play till I am back, but you can! I hope I’ve been clear enough for you to do so. And if you do, be sure to share. 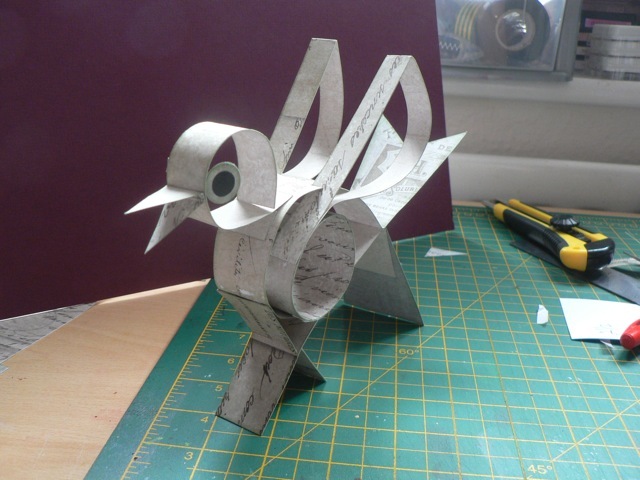 Categories: paper sculptures | Tags: birds, paper sculpture | Permalink. So I started this months back. I loved the bird itself, the transparency plumage, and the quote – which says, if you can’t read it, “Without one nest a bird can call the world home” – this speaks to me, as we no longer own a home in the US. 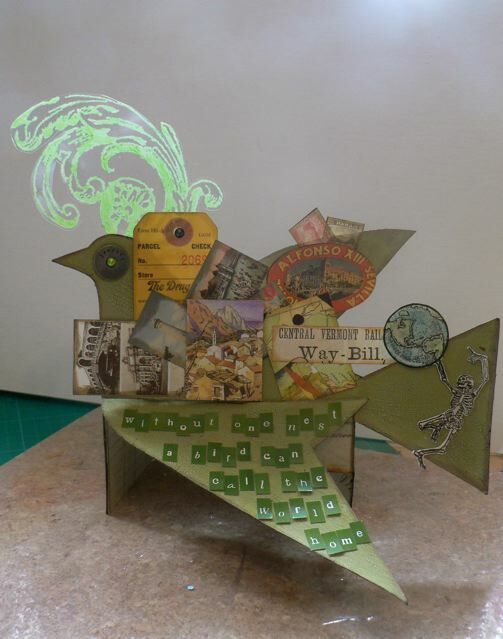 And the idea was to include a load of collage bits of different places, places we have been, some we hope to visit. I dragged it off the shelf to finally complete it, am happy with the little skeleton holding the world in his hand, but over all, it seems a bit…messy. I’m not sure what I need to do to “fix” it or if it is just one of those things that needs to grow on me. Usually it works kind of the opposite – I finish something, love it intensely for a few days, and THEN start mentally picking it apart, thinking that maybe I don;t like it at all anymore. But at least I had that bit of time where I was blissfully happy with my work to console me. I just am not at all sure about this one. I will NOT add flowers to it! I am resisting that as the cure-all for any perceived gap that needs filling – it’s such a cheat to just bang one on when it has no purpose being there. At the moment I am thinking I just need to let it sit for a bit and maybe if I look at it with fresh eyes, in a day or two, I will either decide to bin it or the cure will hit me out of the blue. For a start I sort of think the skeleton needs to be a bit more upright. Past that, I just don’t know. Categories: art, musings | Tags: birds | Permalink. 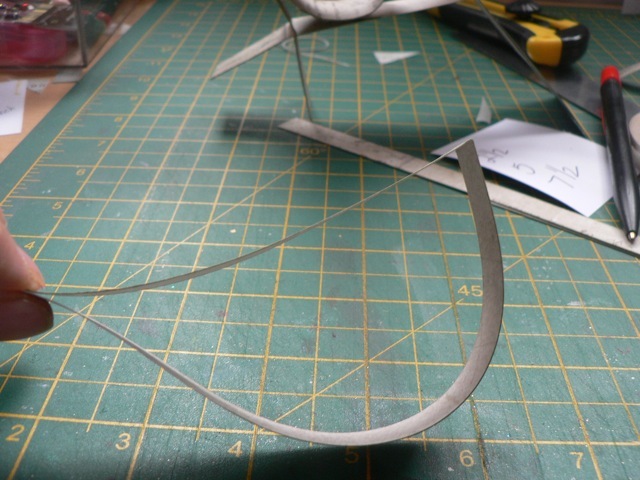 Not a layout today, but a bird paper sculpture. So inspired by efemera and her lovely birds, I had to track down the From One Piece of Card book so I could make a few. Love the little stamped man, trimming her wings, and the wings themselves, edged with a whole bunch of stamped and carefully cut-out angel wings. 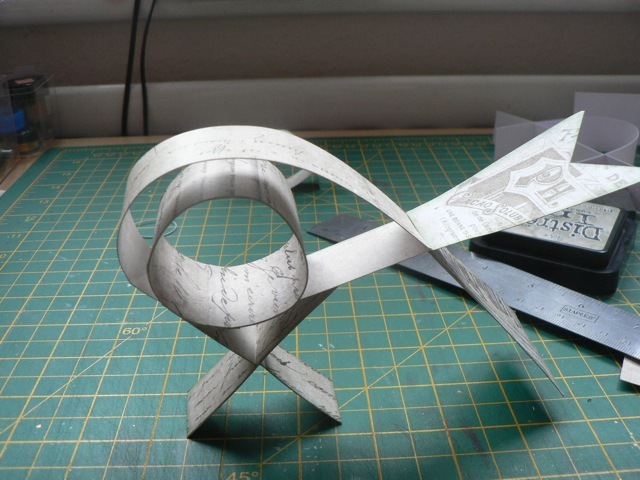 Categories: art | Tags: birds, paper sculpture | Permalink. …unless you consider paper engineering to be a technology! I am hugely inspired by Efemera Ink’s blog. She does lovely work and it all takes me off in 100 directions at once. Recently she did a couple of birds from an old (1973!) book called One Piece of Card. It is still available as a used book (previously upwards of £60 but seems to have dropped in price recently) and I scored one from Alibris UK, which sells ex-library books. The beauty of Alibris is they arrange the sale, and have the book shipped to them. They then ship to you and you only pay for that leg of the book’s journey. My copy came from a library in Oklahoma! Not only are the books (generally) cheaper but the shipping is as well. The book is just full of interesting models, with less info on construction than I would like, but with perseverance most can be figured out from the photos and the cut models. Here are a couple of my own versions. The first one is very colourful, with a transparency over some fab B&W paper – I added some silver details and a bit of bling for fun. 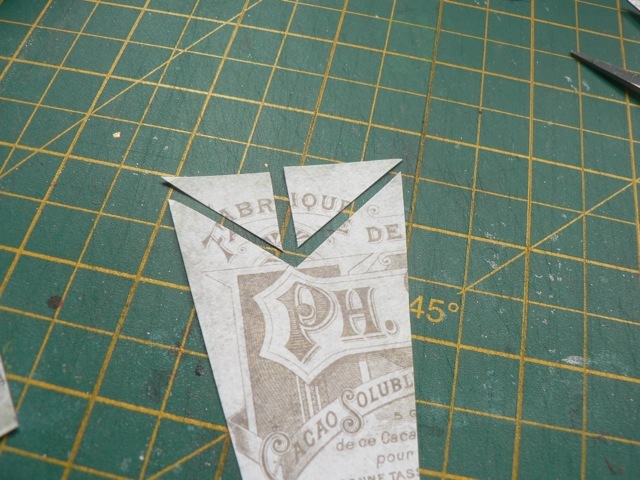 The second one is a bit more towards the “vintage” end of the spectrum and uses one of my favourite embellishments/details, a little pointing hand dingbat. I love these so much I will probably do a post on them listing all my versions some day. 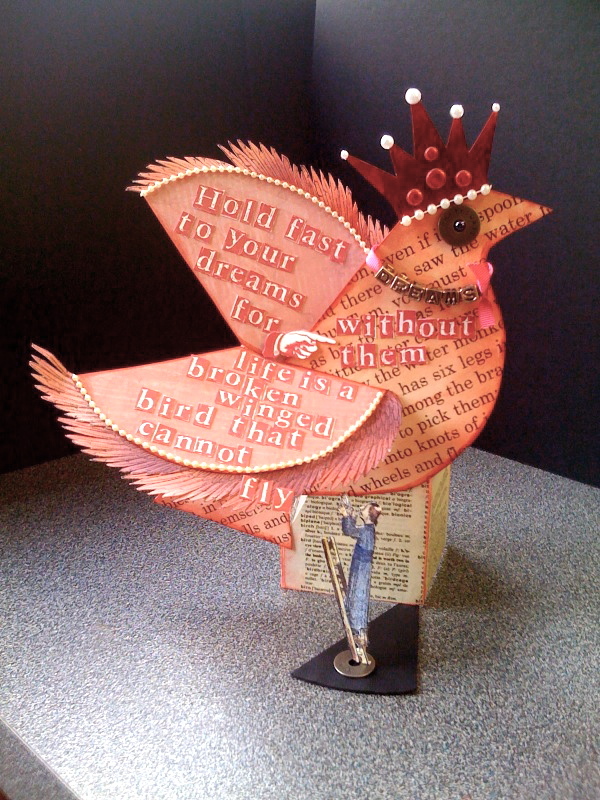 Categories: paper sculptures | Tags: birds, paper sculpture, vintage | Permalink.